This beautiful two-bedroom and 1 ½ bath Chalet is conveniently located slopeside to Snow Summit Ski Resort, perfect for skiing in/out in the winter, and perfect for hiking or biking in/out during the warmer months. 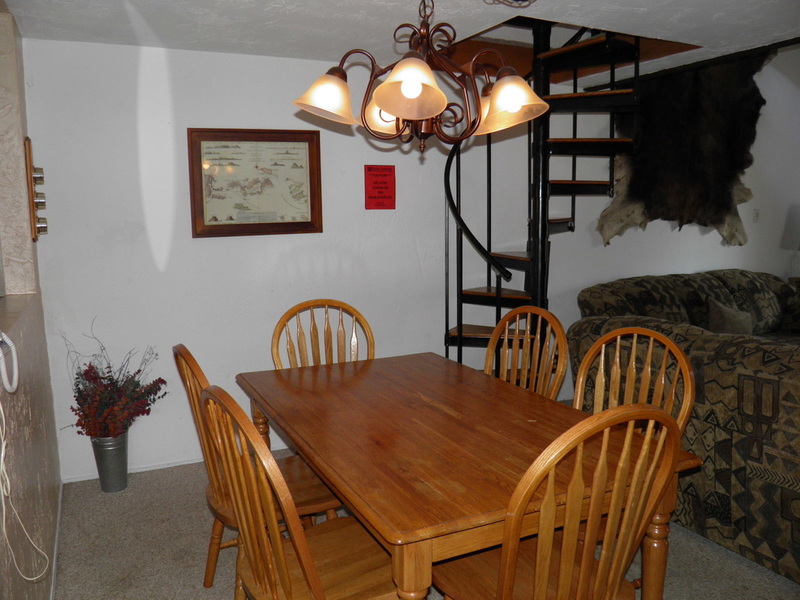 This wonderful townhome sleeps six - eight people comfortably! And with a 47” HDTV with Surround Sound in the living room, 40" HDTV in the Master Bedroom, and a 36" HDTV in the second bedroom , you and your family or other guests will be entertained during your stay. 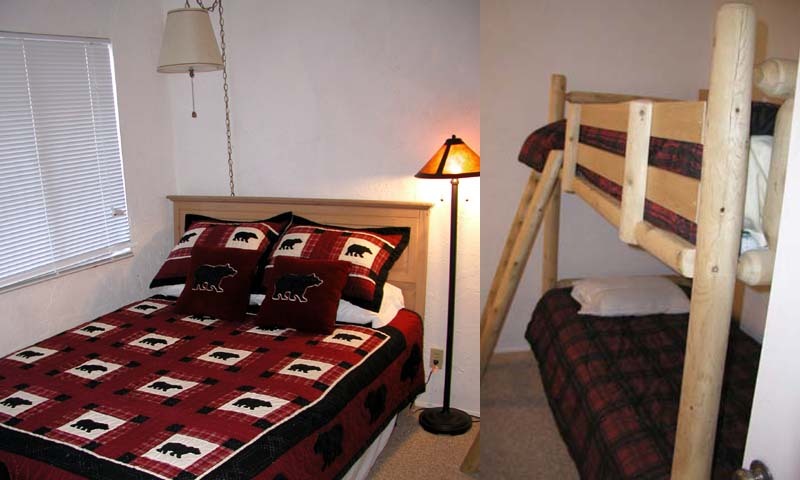 The Master Bedroom is outfitted with a queen bed, and the second bedroom has a queen bed and log twin bunk beds. 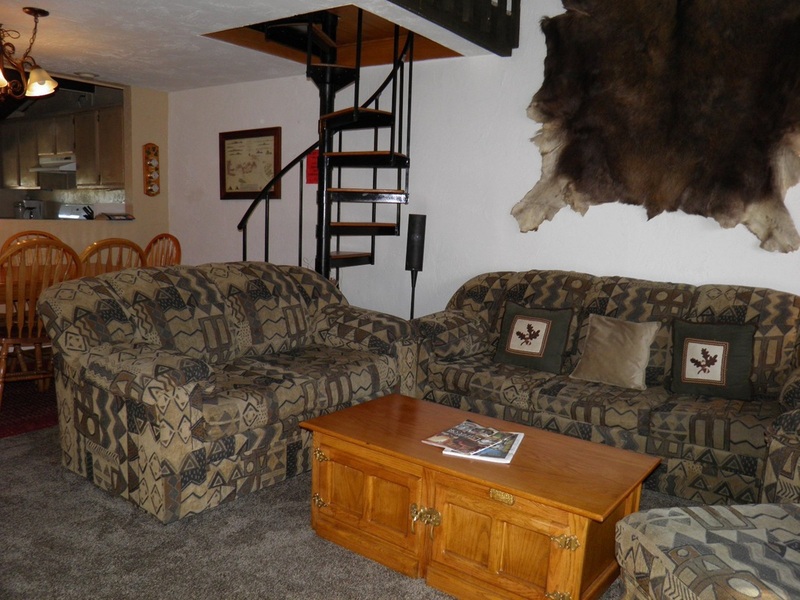 Fully decorated for the surrounding area, you'll feel right at home as you settle in after a day on the slopes. The living room is also equipped with a queen sofa sleeper a great way to bring along a couple of friends that may not usually get the chance to escape their normal lives! 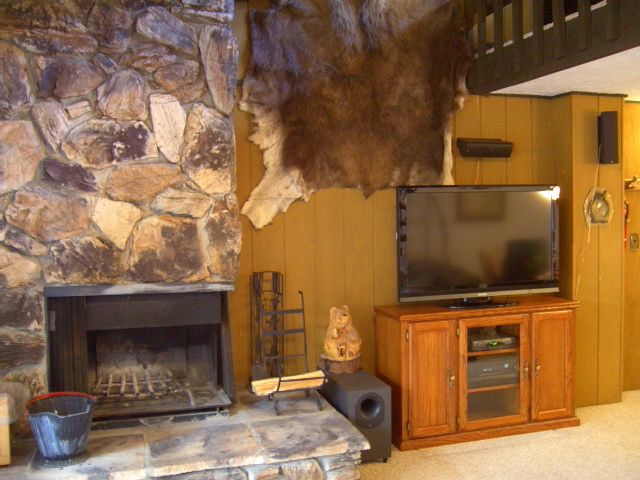 The Living room is appointed with 47" HDTV with a Blu-Ray DVD player and surround sound system, wood burning fireplace, and plenty of places to sit and relax. Perfect to watch a good movie with the family or play games. And don't forget, WiFi is available in the condo as well as the clubhouse, so bring your laptop or other wireless devices to stay connected. 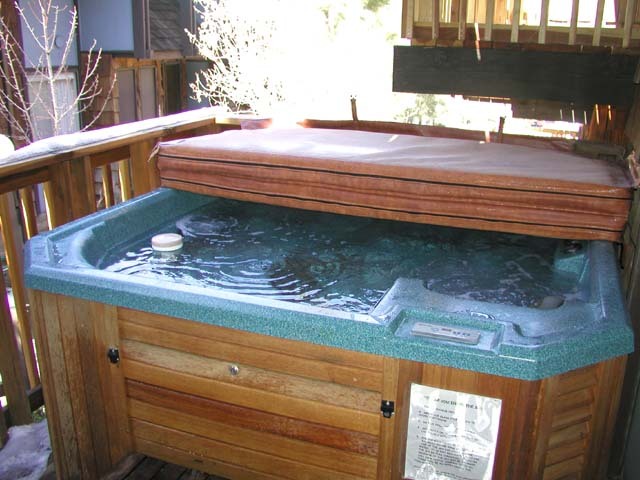 Clubhouse has a pool table and dry saunas for use during your stay. 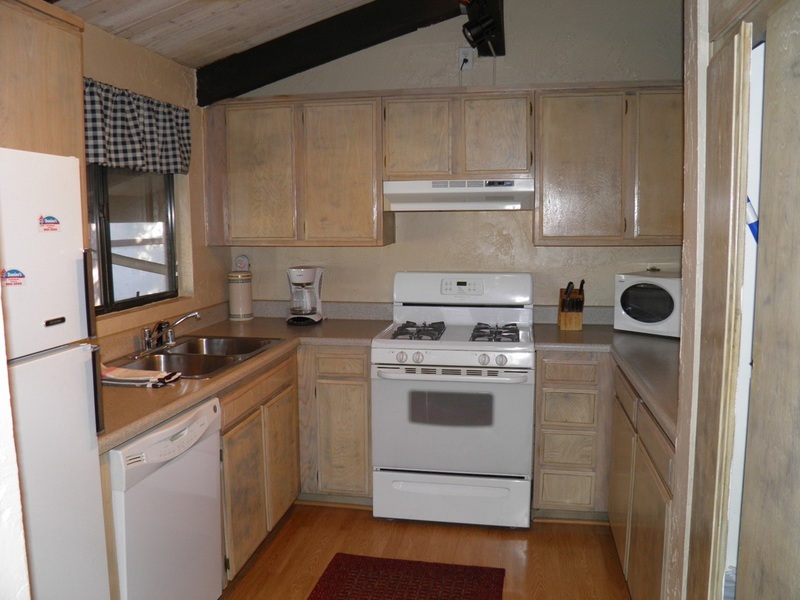 The kitchen has every appliance that you would expect, and others that you may not expect, so that you can whip up your favorite meals and drinks. Or, take a quick trip into town and enjoy some of the local fare. 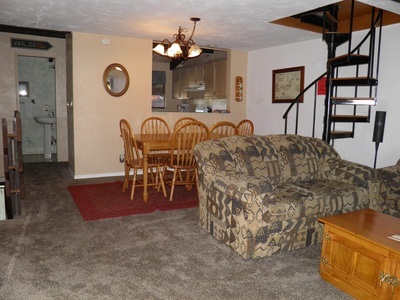 Enjoy the natural gas BBQ off the living room deck. 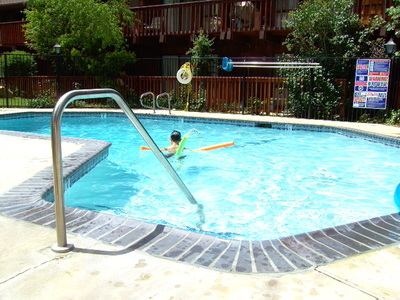 Condo also has a washer and dryer in the unit for convenience. The six person Jacuzzi is open for use year round. 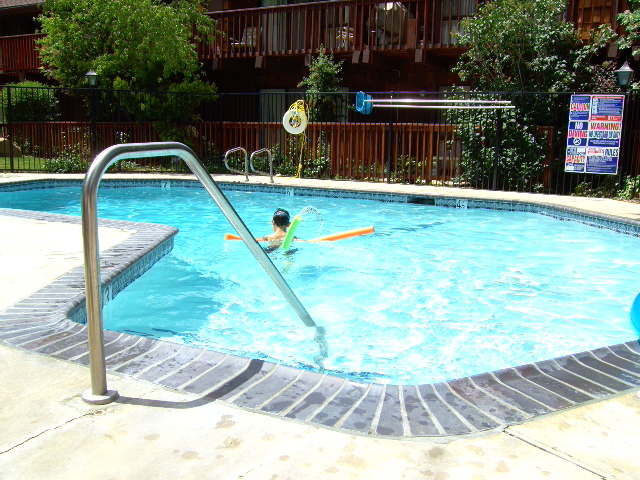 Heated swimming pool during the summer months makes this condo a great year round vacation rental to frequent any time of the year.his great escape! Tell us how you found our site - Thank You! DAMAGE DEPOSIT - of $500 is required on a credit card. Deposit is held until completion of rental. Release of deposits are outline in rental agreement. $95 cleaning and 8% lodging taxes for all stays less than 30 days, $150 cleaning fee for monthly rentals, additional fees will apply for more than 6 persons. Add'l fee of $25 will be added to all rentals for key/parking pass and extra set of towels. Pets are allowed based on advance approval; $25 fee per pet will be charged; maximum of 2 pets only.